Easy Turn Knobs, Keep Warm Function, Concealed Quartz Grill, 270 MM Turntable. 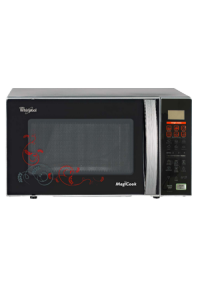 This Microwave has Easy Turn Knobs which help you to operate the oven easily. The Keep Warm Function of this oven is used for keeping the food warm for a long period of time.It uses Low Level Heating.The concealed quartz grill ensures safe cooking and also heats up much faster and quicker than the normal heater.With 270 mm largest turntable, you can cook larger quantity of food items, or reheat multiple food pots with ease in one go. 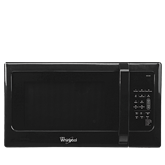 To Recieve updates and possible rewards for Whirlpool Magicook 20 C(KNOBS) please sign in. To Recieve updates and possible rewards for Microwave please sign in.